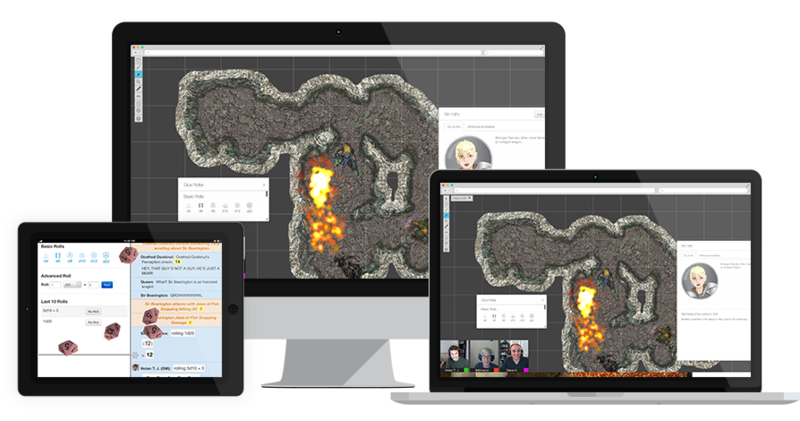 After over seven years of consistent updates and surging past four million users, Roll20 has helped redefine the tabletop gaming hobby-- but we’re not done yet. Want to join in what’s next? Let’s roll. Plus hundreds of other games! 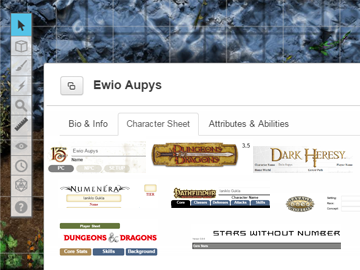 Roll20's virtual tabletop, Compendium, and Character Building tools are powered by HTML5 technology and run directly in your web browser. There’s nothing to download or install and no messy configuration files for Game Masters or players. Want to invite someone to your game? You merely send a short link. And there’s never a need to do scripting or other tedious tasks, it all just works. Other digital tabletop gaming tools try to turn pen-and-paper experiences into an automated video game where your creativity is restricted. Roll20 instead gives you ways to enhance your own unique storytelling games via drawing tools, simple handouts, secret whispers, background music, and other real-time shared elements. Roll20 doesn’t favor one set of mechanics over another, so it can be used with a variety of games. 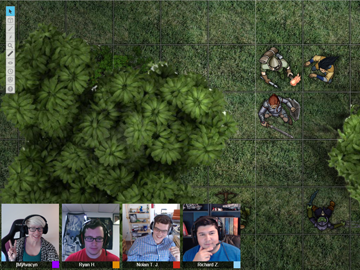 Play D&D online (any edition), Pathfinder, Shadowrun, Savage Worlds, FATE, board games, and more. Whether you need basic dice rolls or advanced macros, turn trackers or simple markers, you’ll find that Roll20 works easily with any tabletop gaming system. Being a game master is hard enough. Roll20 makes as it easy as possible saving you the hassle of installations or configurations. 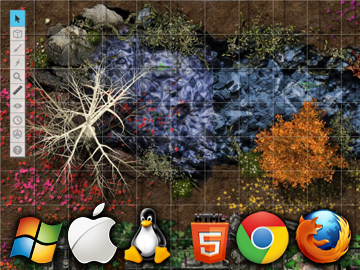 Simply open Firefox or Chrome via Windows, Mac, or Linux and log in to Roll20 via your browser. It's just as easy to invite players. Send them a quick link and they’re in your game, ready to play. 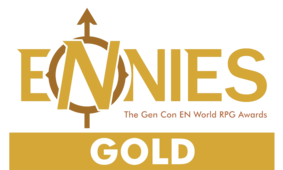 This is the simplest way to bring an online group together so you spend more time playing, and less time swearing at firewalls. 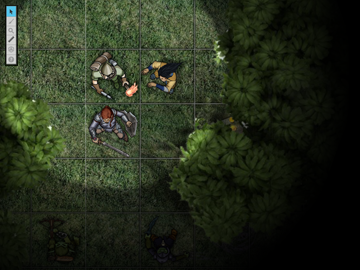 Our powerful visual tool restricts what players can see in real-time as they move around a map. It's also incredibly easy to use: just draw lines to represent walls, set up tokens with a light radius, and start playing! Your dungeon delves will never be the same. When you're playing online, you want to make sure your rolls are as fair as possible. We've gone the extra mile to enable our dice engine to be powered by a source of "true" randomness -- based on the power fluctuations of a split beam of light. If that sounds like overkill, it is -- but you'll thank us for it when you roll that critical hit. In fact, our dice are more fair than rolling in-person. Don't believe it? We've put ourselves to the test, and you can see for yourself. Roll20 also features 3D Dice, which allow you to see a 3D physics simulation right in your browser whenever you perform a dice roll. 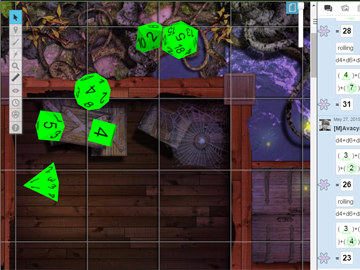 Any other players with 3D Dice enabled will see your roll happening in real-time on their computer as well, so you can all share in the excitement of that crucial crit! 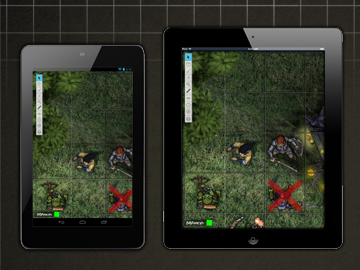 Upgrade your in-person experience with the Roll20 for iPad and Roll20 for Android free-to-use mobile tablet apps. 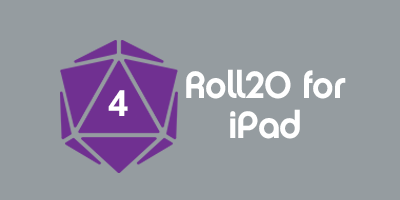 Featuring digital dice, character sheets, handouts, and quick access to game rules, these apps eliminate the need for keeping paper sheets up to date and speed up gameplay through built-in rolls and macros. Whether you use them to complement running your game on the Roll20 Virtual Tabletop or just want to replace your paper sheets, they’re the perfect way to level up your in-person play! Join our newsletter to stay up to date on Roll20. We'll never give out your email or send you spam, we hate that stuff, too.